UPDATED — VATICAN CITY (CNS) — When Pope Francis embarks on his fourth visit to South America, he will face the enormous task of restoring trust and encouraging healing after scandals in Chile and Peru left many wounded and angry at the Catholic Church. Pope Francis planned the Jan. 15-21 trip as an opportunity to take a message of hope and comfort to people on the margins of society, particularly the indigenous people. However, the challenges facing the church in both Chile and Peru will make this visit different from his previous trips to South America. In Peru, young members of Sodalitium Christianae Vitae, a Catholic movement, were subjected to psychological and sexual abuse by group leaders, including the founder, Luis Fernando Figari. An internal Sodalitium investigation confirmed the abuse of children, teens and young adult members of the movement. Less than a week before the pope’s visit to Peru, the Vatican Congregation for Institutes of Consecrated Life and Societies of Apostolic Life named a Colombian bishop to be the trustee of the scandal-plagued movement. The Vatican said Jan. 10 that Pope Francis followed the case “with concern” and “insistently requested” the congregation to act. Despite his actions to address the issue of sexual abuse in Peru, his decision to appoint a bishop accused of turning a blind eye to abuse drew outrage in Chile. The pope’s appointment of Bishop Juan Barros as head of the Diocese of Osorno in January 2015 sparked several protests — most notably at the bishop’s installation Mass — due to the bishop’s connection to Father Fernando Karadima, his former mentor. The Associated Press Jan. 11 published what it said was a letter from Pope Francis to members of the permanent committee of the Chilean bishops’ conference just three weeks after Bishop Barros’ appointment to Osorno was announced. The Vatican would not comment on the letter. 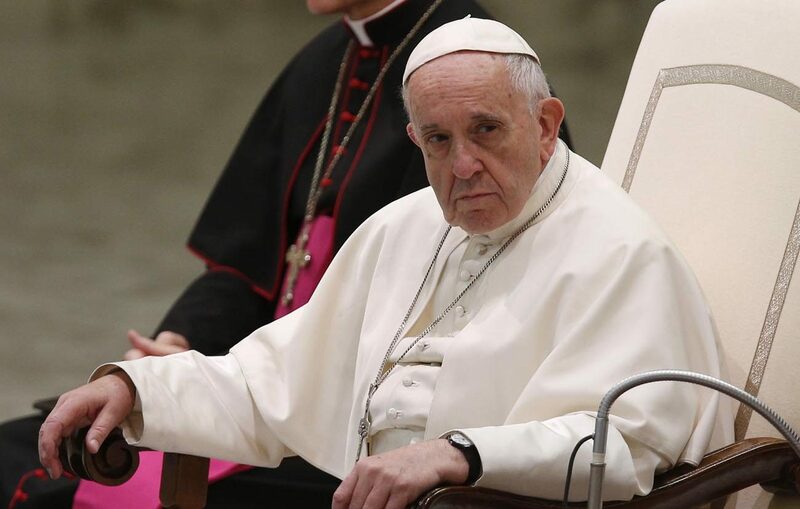 In it, Pope Francis thanked the committee members for expressing their “concern” over the appointment as well as for their “prudent and constructive” suggestions made to him in February 2014. According to the letter, Archbishop Ivo Scapolo, the nuncio to Chile, asked Bishop Barros to resign as military ordinary and take a sabbatical. The nuncio, the letter said, told Bishop Barros’ that two other bishops connected to Father Karadima would be asked to do the same. “The nuncio’s comment complicated and blocked any eventual path to offering a year’s sabbatical,” the pope wrote without further clarification. Bishop Barros was installed as bishop of Osorno March 21, 2015. Many were outraged by the pope’s assessment of the situation, including several of Father Karadima’s victims, who organized an event to coincide with Pope Francis’ arrival in the country. The conference, titled “Sexual Abuse in an Ecclesiastical Context,” is sponsored by the Foundation for Trust and will feature several notable speakers, including Peter Saunders, a former member of the Pontifical Commission for the Protection of Minors. “The fact that the pope is coming and we are having this seminar is because many people are coming to show their commitment to the rights of children as well as their anger at the lack of reaction and the mistaken words the pope gave,” Jose Andres Murillo, director of the foundation for people who suffered abuse at the hands of Father Karadima, said in an interview with Chilean news website, El Mostrador. Protesters from the Diocese of Osorno are also expected to be in Santiago, calling on the pope to remove Bishop Barros. “We hope that you will be courageous, that you give a face to the invisible men and women of Chile, that you confront the true reality of the country and not allow yourself to be hoodwinked by the lies sold by the business community, political authorities and even many of our ecclesiastical authorities,” the students wrote.